My girls are laying like crazy right now, and no wonder, because despite the calendar saying December 8th, it’s been getting up to 60 degrees around here lately. Insanity! I don’t have lights or anything out in my camper coop, so while the days are shorter, they are still doing great. I’m trying to talk myself out of starting up the incubator. I have puppies due mid month. Do I really want to deal with chicks too? Why not have Icie baby central? 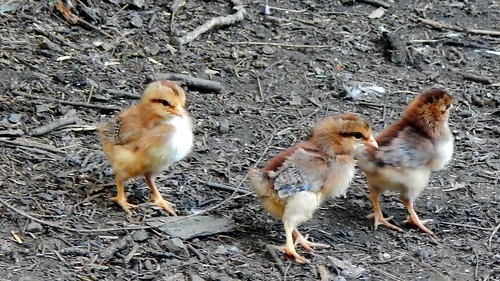 I have a back porch with a brooder set up already … chicks aren’t THAT much work. Heck, I still have half a big bag of chick starter sitting out there. It’s not like they’d be in my living room this time. I swear I’ll never do that again. But man. 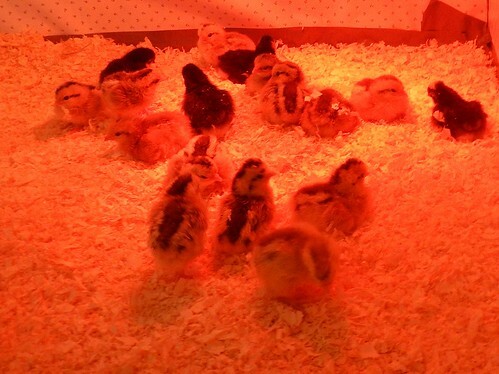 I could sure use some chick therapy.